Sensitivity to light (photophobia) can exacerbate the misery of a migraine. 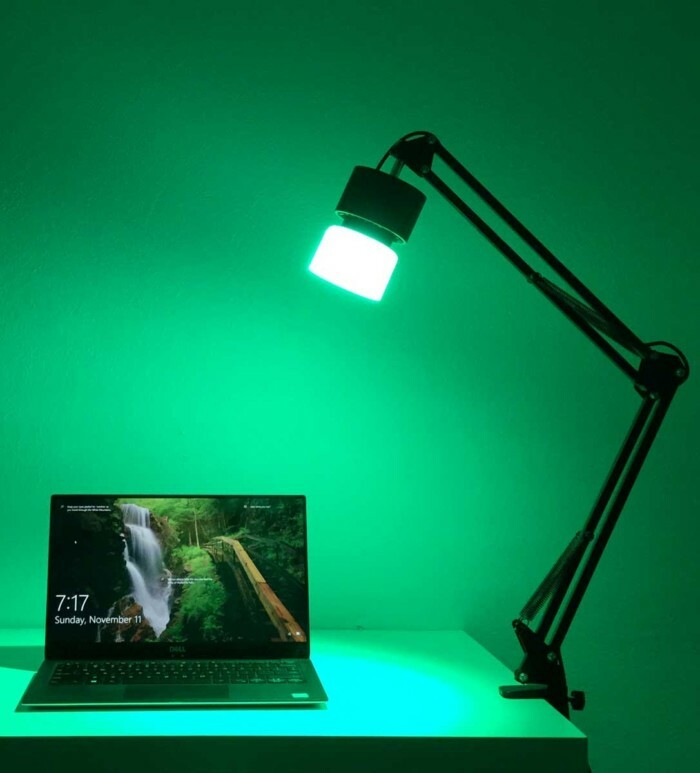 Our Migraine lamps deliver a specific type of narrow-band green light which allows you to see, work and read without making an already miserable experience worse. 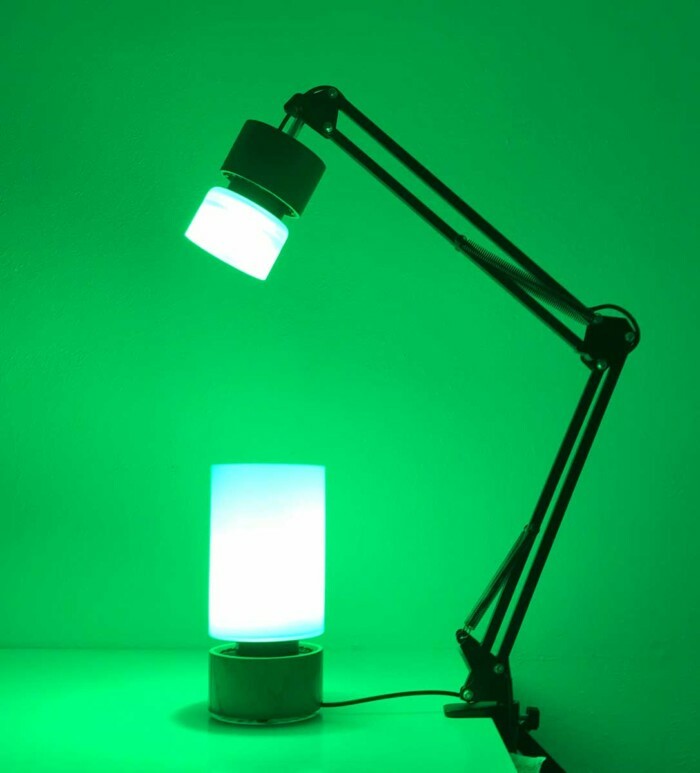 Choose a Migraine lamp for your home or office so you don’t have to suffer in the dark! During a migraine attack many people experience pain and discomfort when exposed to light (this phenomenon is called photophobia). Even relatively low levels of indoor light can be unbearable, and studies show that fluorescent and LED lights, computer screens and even sunlight, can increase both the intensity and spread of headache pain. In a landmark 2010 study, Dr. Rami Burstein and a group of researchers at Harvard Medical School and Beth Israel Deaconess Medical Center discovered that a very specific type of ‘narrow-band green’ light can reduce migraine photophobia (click here for more information). 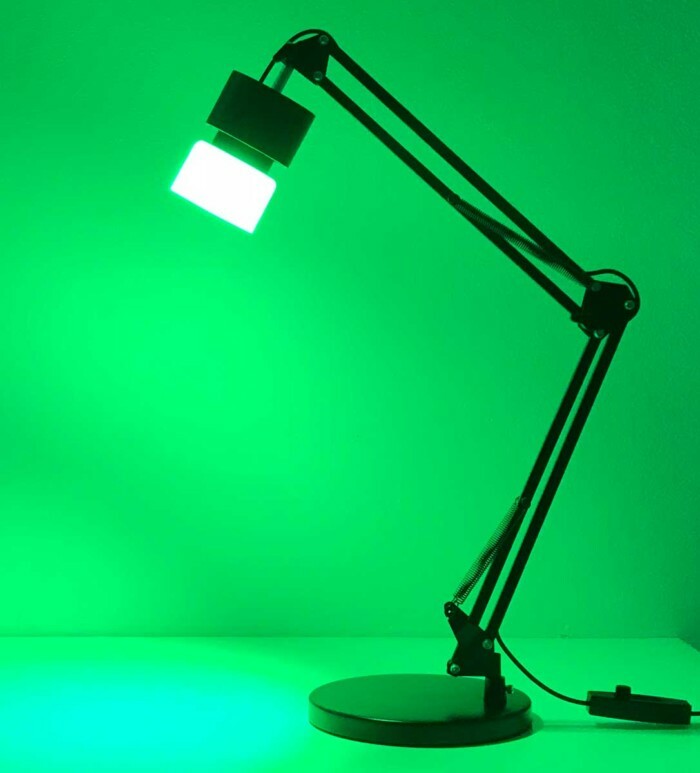 In an effort to help alleviate the misery of migraine sufferers, we’re offering two different prototype lamps which deliver the specific narrow band green light discovered by Dr Burstein and Dr. Noseda. 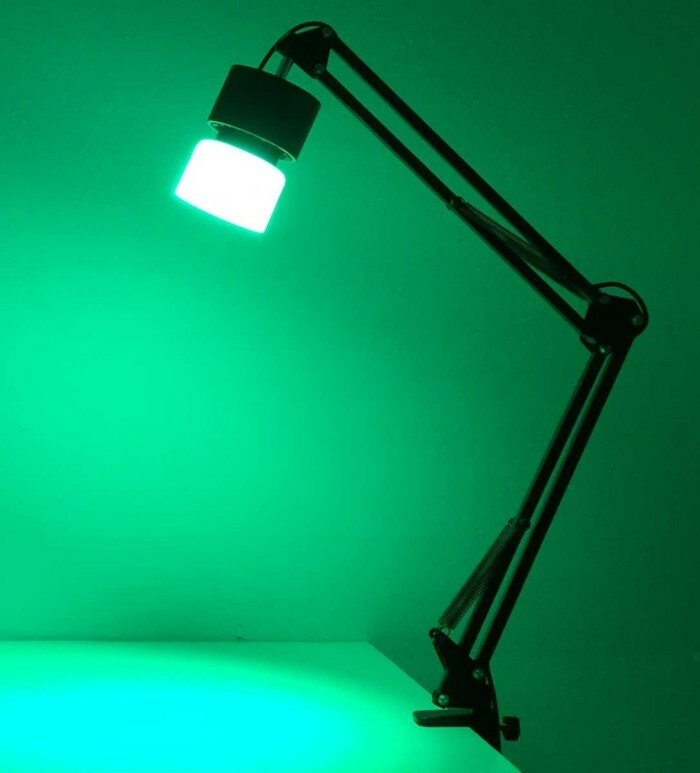 Our Migraine desk lamps and Migraine table lamps are the world’s first lamps designed to alleviate photophobia. Our lamps come with a manual dimmer that allows you to adjust the intensity over a range of 1 to 100%. Dr. Burstein’s research suggests you can minimize photophobia by moving to a dark or dim space, using a narrow band green light, and adjusting the intensity of the light to minimize discomfort. Other migraine research suggests that bright, or flashing lights can be a trigger for headaches, but we don’t yet know if using narrow band green light can reduce the frequency or severity of migraine attacks. 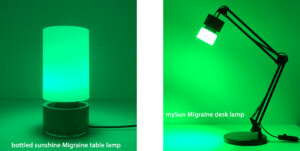 Note that our Migraine lamps provide ONLY narrow-band green light = VERY unlike the other products we make (which deliver the daily and seasonal cycles of natural light)! 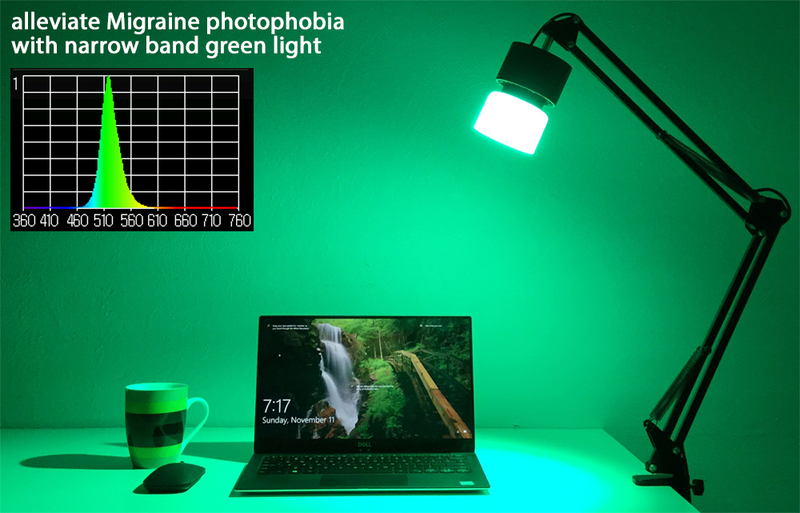 does using narrow band green light help alleviate pain from photophobia? 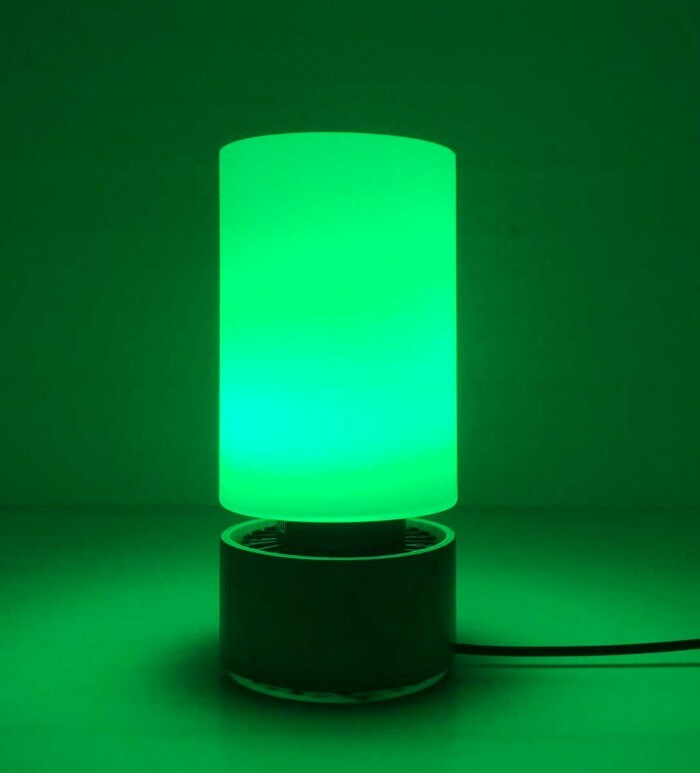 does using narrow band green light reduce the frequency or severity of your migraines? how and when do you use narrow band green light? Dr. Burstein’s research suggests that only a very specific range of green light (narrow range of wavelengths) alleviates photophobia. Unfortunately you can’t just run to your local hardware store and buy a generic green light bulb. Specialty green LED bulbs provide a broad-spectrum green (via phosphor down conversion) that may look similar to our eyes, but doesn’t match the spectral characteristics defined by Dr. Burstein. We’ve carefully designed our light source to closely match Dr. Burstein’s experiments. Research suggests well still have more to learn about how light, pain and photophobia relate … we’re making these prototypes available so that migraine sufferers can have access to this technology and share your feedback! science disclaimer #1: the research on green light, photophobia, and pain is still an emerging science — see the links (above) for more details! science disclaimer #2: as biologists and color-theorists will tell you, wavelengths of light are not the same as color – color is the human perception of wavelength – but for the sake of this discussion we’re use this oversimplification.